Firefighters traveled across the region to attend the 13th Annual Walker Sisk Memorial Truck School during Albemarle County’s Regional School Weekend. 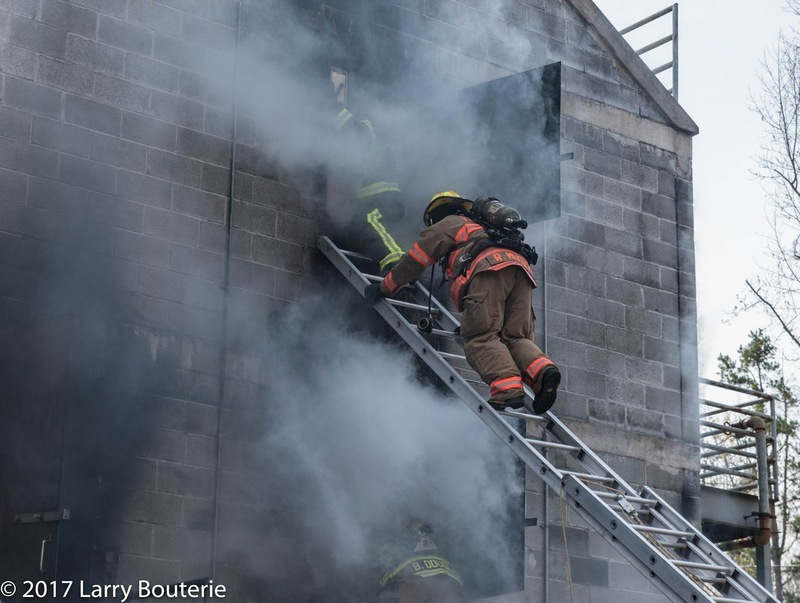 Focusing on truck operations, the school helps firefighters master both basic and advanced skills in searches, self-rescue, ladders, ventilation, wall breaches, and numerous other domains. Students walk away from the Truck School with increased confidence in their abilities on the fireground. 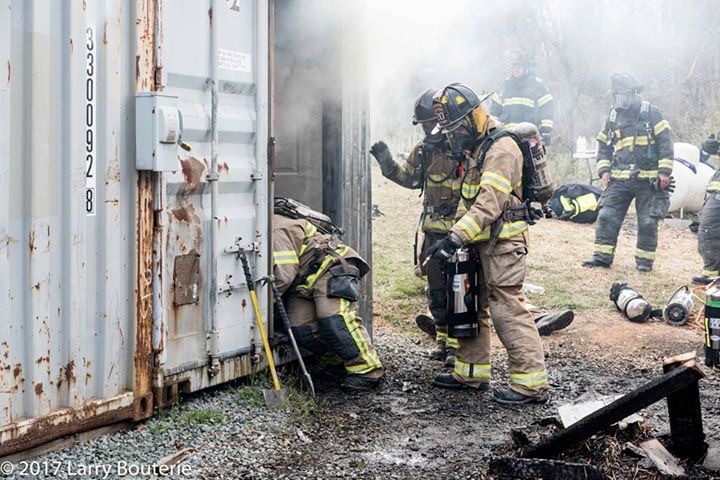 One of the most memorable stations that students complete is the Truck School’s infamous “Basement of Terror.” Simulating a worst case search scenario, firefighters have to find a way out of the structure while everything around them works against their efforts. Students must problem-solve and work as a crew to exit the building before running out of air. Emphasizing the importance of teamwork and basic self-extrication skills, the basement creates a long-lasting impression on rookies and veterans alike. Nearly 60 candidates attended the Truck School looking to improve their firefighting skills, making this class the highest attended since the school’s inception in 2005. More than 30 instructors came from across the region to lead the school’s 13 skill stations. The Walker Sisk Memorial Truck School is held annually in honor of STVFD Firefighter Walker Andrew Sisk. FF Sisk was stabbed multiple times and killed in the area of the Corner in Charlottesville, VA on November 8th, 2003. The Walker Sisk Memorial Truck School honors FF Sisk and his love of training, truck work, brotherhood, and the fire service.